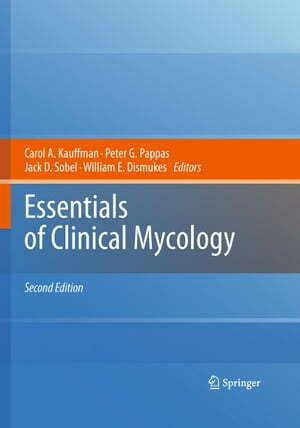 Collins Booksellers - Essentials of Clinical Mycology by Carol A. Kauffman, Peter G. Pappas, Jack D. Sobel & others, 9781441966407. Buy this book online. Clinical Mycology offers a comprehensive review of this discipline. Organized by types of fungi, this volume covers microbiologic, epidemiologic and demographic aspects of fungal infections as well as diagnostic, clinical, therapeutic, and preventive approaches. Special patient populations are also detailed.